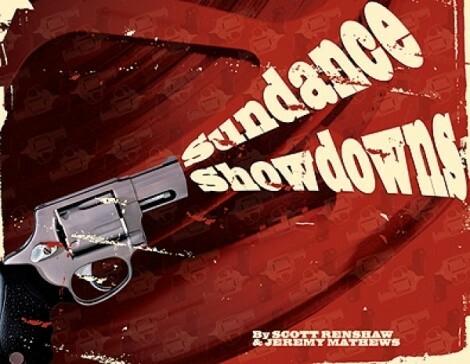 Last year, City Weekly turned its Sundance Film Festival attention to the eternal question: How do you decide what to see when so many of the filmmakers are unknown quantities? Sure, film-guide summaries can point you in the right direction, but how much direction does that give you beyond what it’s about, to how it’s going to be about what it’s about? Sundance (Jan. 19-31 this year in Park City and other Utah venues) hasn’t changed radically a year later—and as a result, neither has our approach. If you’re facing the question of how to choose between two films that seem superficially similar, and your time and resources are limited, you need a little nudge in the right direction. Well, that nudge is us. Trying to pick between multiple documentaries about the Great Recession? We’ve got you covered. Not sure which gritty drama about co-dependent addicts is for you? You will be. Want a clearer sense of where to spend your entertainment dollar on a thriller that tests the bonds of friendship? It shall be granted unto you. Welcome to Sundance—and shop with just a touch more confidence. Premise: Two couples embark on a carefree holiday in Cambodia, but only three of them return home to Sydney. What happened on that fateful night? And how will those who returned be able to return to normalcy in its aftermath? Track Record: Director Kieran Darcy-Smith is a veteran Australian actor with a few short films under his belt, making his feature-directing debut. The Case in Favor: Edgerton seems to have a knack for picking good thriller scripts, including the terrific, little-seen The Square. The Case Against: The film-guide description of its achronological structure may signal that it’s more about the gimmick than about the characters. Premise: Three childhood friends set aside their personal issues and reunite for a girls’ weekend on a remote island off the coast of Maine. One wrong move turns their weekend getaway into a deadly fight for survival. Track Record: Director Katie Aselton’s solid romantic dramedy The Freebie played at Sundance in 2010. Familiar Faces: Aselton (TV’s The League), Kate Bosworth (Superman Returns, Straw Dogs). The Case in Favor: It's intriguing to see how a filmmaker associated with low-budget relationship stories figures out the unique rhythms of this genre. The Case Against: See “The Case in Favor.” Aselton and husband/filmmaker Mark Duplass (who wrote the script) may know characters, but can she build the tension required for a genuine thriller? 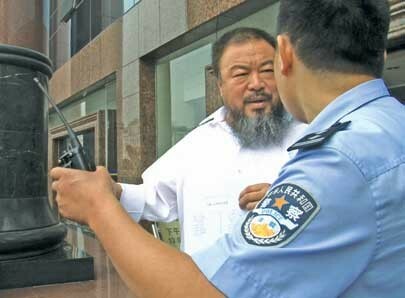 Premise: Renowned Chinese architect, artist and activist Ai Weiwei has garnered international attention as much for his ambitious artwork as his political provocations and increasingly public clashes with the Chinese government. Track Record: Director Alison Klayman is making her feature-documentary debut. The Case in Favor: Klayman also worked on a PBS Frontline documentary about Ai Weiwei, so she’s clearly intensely familiar with (and fascinated with) her subject. The Case Against: A profile of someone known for bold, risky political positions against a totalitarian regime could end up being more about celebrating his courageous actions than digging into a warts-and-all biography. The Case in Favor: The daring work undertaken by Abramovic over the course of her 40-year career—including giving herself unprescribed medications and intentionally rendering herself unconscious—makes for some undeniably interesting subject matter. The Case Against: The art itself is so intriguing that any movie attempting to dissect it may feel wan by comparison.